Hundreds of LG monitors are being used at the 2015 AWS Re:Invent user conference, which began October 6 and ends October 9. LG is a AWS Re:Invent’s Titanium Sponsor and are therefore providing Zero Client Tera 2 V-Series and IPS monitors for a hands-on lab that us capable of delivering a secure virtual computing solution for various industry settings. The event is being attended by developers, engineers, system administrators, systems architects and technical decision makers who are looking for innovations geared toward helping companies create cost-efficient and streamlined IT infrastructures. Hundreds of LG monitors are being used at AWS:reInvent. LG is a titanium sponsor. Attendees can visit the AWS hands-on lab throughout the conference, where around 200 LG 24-inch Zero Client Tera 2 V-Series (Model 24CAV37K-B) monitors are on display. The LG Cloud Monitor system utilizes a Teradici PCoIP processor and Amazon WorkSpaces to deliver a solution that broadens integrated computing to offices and classrooms. The virtualization software enables a single server to support more monitors than earlier devices. The PCoIP has no central processing unit or operating system so that there is a lower risk of viruses, spyware and hacking. “PCoIP Zero Clients creates content via encrypted pixels instead of data ¬for security reasons, and the remote user experience allows for virtual computing,” says Jayesh Shah, Teradici’s Vice President of Product Management. 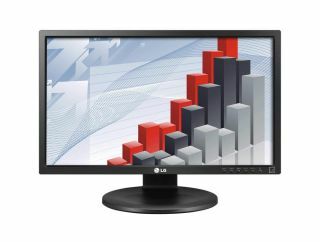 The lab also includes nearly 200 LG IPS Monitors (Model 24MB35P-B) that combine the wide viewing angle capabilities of IPS technology with the picture quality of LED backlighting and ENERGY STAR efficiency. IPS panels minimize image distortion at wide viewing angles and provide high picture quality to offer original image color matching.